Sony XBR70X830F vs KD70X690E: What will be better for you? 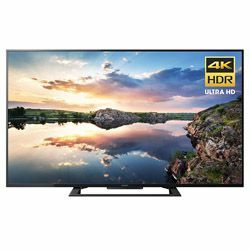 Having tested two solutions from Sony – Sony XBR70X830F vs KD70X690E, I would like to share my experience that should help you choose the right model. XBR70X830F belongs to the X830F series and KD70X690E is from the X690E series. Both series include other modern, high-performance TVs. XBR70X830F is a 2018 year model, while KD70X690E was released in 2017. These models belong to the high price category since they cost more than $1,000. XBR70X830F has a VA display and KD70X690E uses an LCD display, but both solutions use the same backlight technology – Direct LED. 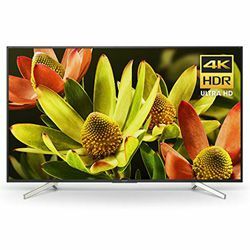 These TVs support the 4K video standard, but if we compare Sony KD70X690E vs XBR70X830F, we see that XBR70X830F the refresh rate of 120 Hz and KD70X690E supports the refresh rate of 60 Hz. However, both models use the Motionflow XR technology to process movement and decrease the picture blurring. XBR70X830F uses Dynamic Contrast Enhancer with the Triluminos display to assure the high color vividness, while KD70X690E uses Dynamic Contrast Enhancer. Both TVs have powerful processors installed (XBR70X830F uses the X1 processor) assuring the high level of performance – videos do not lag or stutter and the menus are responsive. These two models have the upscaling feature – 4K X-Reality Pro. XBR70X830F supports Alexa and Google Assistant and it uses Android TV. These TVs are very slim and the bezel is very narrow. XBR70X830F has a stable Y-shaped stand, while KD70X690E features a rectangular-shaped stand. However, you can wall-mount them. The dimensions are 61.73x38.26x12.4 in for XBR70X830F versus 61.7x37.44x12 in for KD70X690E (with the stand that is 2-3 in high). The XBR70X830F has 4 HDMI ports and 3 USB ports, while KD70X690E has 3 HDMI and 3 USB ports. Both models come with remote controllers. These remote controllers have two buttons to access Google Play and Netflix directly. Stunning image quality – it is clear with vibrant colors and the picture is excellent even in a light room. Many features and functions which are easy to access and use (the menu is user-friendly). The viewing angle is quite narrow. Some customers do not like the remote controller since the buttons are located too close to each other. Great compatibility with man modern devices (like gaming consoles). The picture quality is amazing –colors are well-saturated (the black color is dark enough). The Wi-Fi module is stable and it connects to the network immediately. Some people find the menus outdated and difficult to use. The remote controller looks outdated.